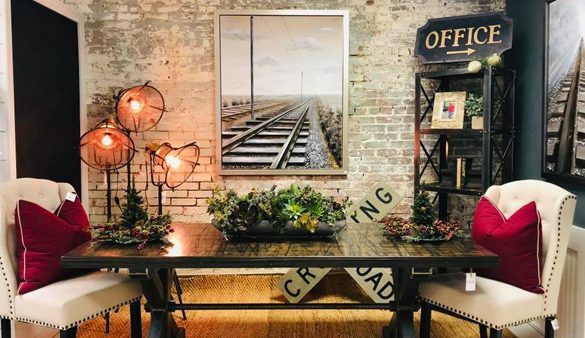 Family-owned Boxcar House was founded in 2016 in Frisco, Texas. Stepping into Boxcar House is like taking a step back in time, and the name pays homage to Frisco’s unique history with railroads. Boxcar House features furniture made from authentic, reclaimed boxcar wood as well as furniture and accessories made from early 20th century machinery.